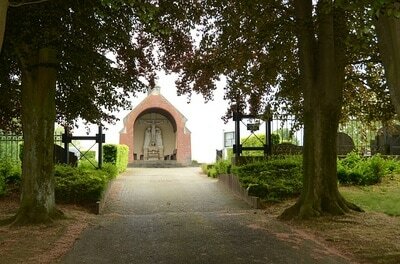 The village of Denderwindeke is located south of the town of Aalst on the N255. From the motorway E40/A10, which runs between Oostende and Brussels, turn off at junction 19 onto the N45, direction Ninove. Follow this road to Ninove and at the junction with the N8 turn right onto the N8. At the crossroads turn left onto the N255, direction Soignies. On entering Denderwindeke take the second turning right into Neuringen and the cemetery is along here on the left. On entering the communal cemetery take the first path on the left. The war grave is the second headstone in the second row of headstones on the right. 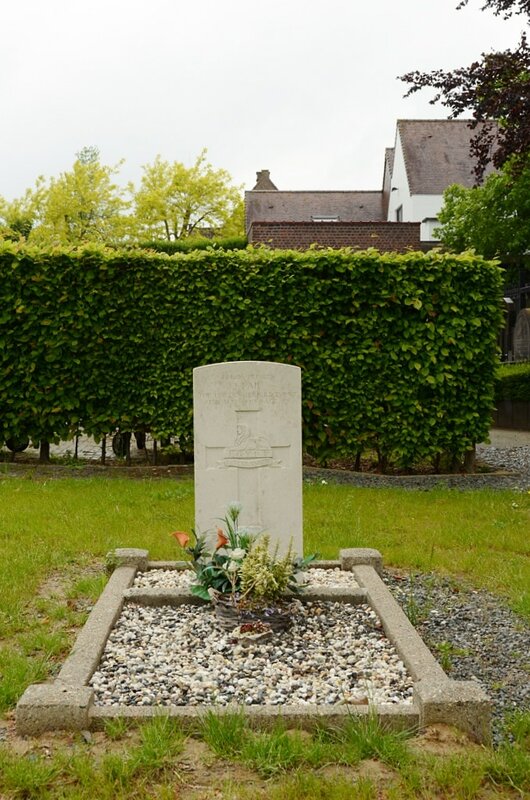 Denderwindeke Communal Cemetery contains one burial of the Second World War. 4446116 Private Joseph Fail, 2nd Bn. 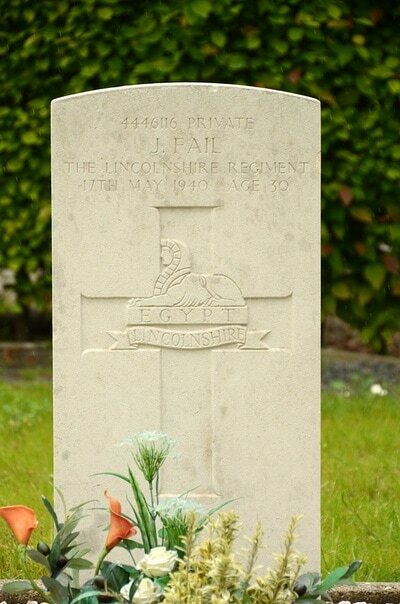 Lincolnshire Regiment, died 17th May 1940, aged 30. Son of Elizebeth Fail, and stepson of Joseph Potts; grandson of Annie Fail, of Sunderland, Co. Durham.